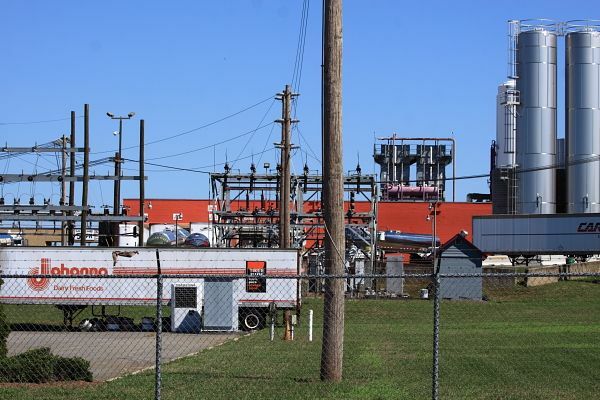 DEP Takes Quick Action in West Amwell Odor Case – But Is it Enough? Here’s an update on the Johanna Farms odor issues. First, there is a great editorial today in the Hunterdon County Democrat: Raritan mayor isn’t helping Johanna Foods (sic) odor conflict. The Democrat agrees with us that the Mayor is blaming the victims. But the editorial mistakenly presumes that both DEP and Johanna are working effectively and will soon solve the problem. That just is not the case. I spoke this week with DEP enforcement about the problem. Johanna is dragging their feet on fixing the problem. DEP enforcement staff’s hands are tied. Johanna knows that DEP Commissioner Martin has directed the DEP enforcement staff to work cooperatively with business and industry towards what he calls “win-win” compromises. Martin has basically ended DEP’s traditional enforcement role and that is reflected in record low enforcement fine levels. With no threat of DEP enforcement sanctions, companies have no economic incentive to comply. So, in addition to the Mayor, the other end of the problem is in Trenton – at DEP Commissioner’s Office. I urge residents to target calls there (@ 609-292-2885) and to the Governor (@ 609-292-6000) to demand that DEP take enforcement action and modify Johanna’s permit to mandate a totally enclosed treatment system. That is the only way the smell will be stopped. Second, I am pleased to report that I’ve had some success in limiting severe odors in my own backyard caused by a local farmer’s disposal of Johanna sludge on local farms in West Amwell. I wrote a detailed letter requesting an investigation and for local, county and state regulators to take specific corrective actions. I raised specific issues with respect to odor violations and possible surface water, groundwater, and drinking water pollution problems associated with this sludge disposal operation and how it is regulated by DEP (letter provided upon request – email: bill_wolfe@comcast.net for a copy). In response to the letter, I’ve been in contact with Hunterdon County Health Department and DEP staff, both of whom were very responsive. I’ve heard nothing from West Amwell officials yet. This has been a longstanding problem with Johanna and Fulper, so DEP immediately contacted Johanna and advised them that continued odor problems in West Amwell could jeopardize their authorization to dispose of their sludge in NJ. Per DEP, the Johanna Flemington plant generates about 1 20 cubic yard rolloff of sludge per day (call this a load). The large majority of that is land applied in Pennsylvania. Mr Fulper (West Amwell farmer) gets the rest – Fulper has received 5 loads in June, 6 in July, and 7 in August. DEP soon will issue a letter to Johanna and Fulper imposing additional restrictions that should help reduce odors. Fulper will be required to apply the material within 24 hours of receipt and restrict applications from May – September (not sure precisely how). For now, Fulper has terminated disposal on farms near Gulick Road, where I live. The RTF law does NOT trump public health, environmental, odor, or nuisance laws and DEP permit requirements. 2) DEP residual application permits fail to require compliance with DEP’s surface water and groundwater quality standards. Sludge has large loads of nutrients (phosphorus and nitrogen) that can harm water quality and poison drinking water. DEP must tie sludge applications to water quality standards and enforce those standards directly on all sources, including agriculture. DEP can not defer to the Department of Agriculture issued “Nutrient Management Plans” as a substitute for or to satisfy compliance with the Clean Water Act. 3) DEP residual application permits fail to require surface and groundwater monitoring needed to measure any impacts of sludge application on surface and ground water resources. 4) Sludge application loads nitrogen to soils, some of which eventually impacts groundwater. West Amwell is reliant on groundwater for water supply. Therefore, drinking water wells could be impacted by farming and sludge application practices. Despite this risk, DEP and County officials are not collecting data to assess this potential problem, instead burying their heads in the sand. 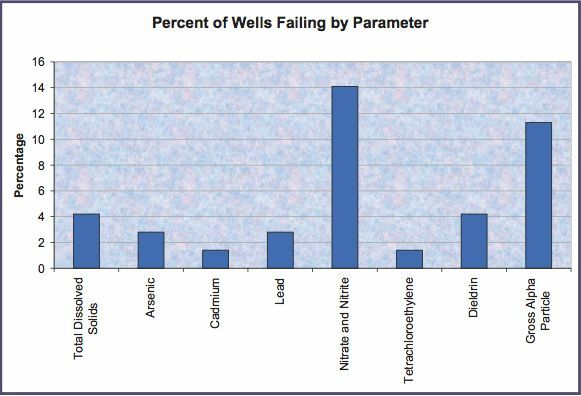 Private well Testing Act data and groundwater data should be reviewed to see if farming and sludge disposal practices are poisoning drinking water wells. DEP and County Health Department professionals need to start looking into these issues. We are talking about public health risk – and farmers must not be allowed to hide behind the Right To Farm law or lax DEP permits. I’m not sure if you are aware but Fulper farms other lands within the state and I’m sure he’s doing this elsewhere. As far as the township is concerned, they will not make a stand on this subject. There have been many complaints over the years and nothing has been done. Mr. Fulper happens to be the President of the WAT Zoning Board and in the last year or two settled a lawsuit with the township costing more than $800,000.00 to the township regarding a zoning issue and his land. Very interesting. Mr. Fulper, along with some others in the township, have an interesting view regarding zoning and ordinances. He’s made clear on more than one occasion that he should be able to do as he wishes on his land without the interference of the township or other residents. There have been some recent issues regarding him dredging and creek defacing another residents property and causing some runoff issues. It’s been swept under the rug, again. Torn between two liars, feeling like a tool. Screwing all of us is breaking all the rules. Deceiving us all is breaking all the rules. I awoke early this morning all pumped up by the diverse and compassionate group of Americans I saw on my TeeVee set last night at the Republican Convention calling for social and economic justice and public investments in urban America. So proud of our large Governor, who has the TRUTH on his side! Vibed by that vigorous display, I just opened my email to find a DEP press advisory about an important new program in Camden, so I feet it no less than my civic duty to travel to Camden this morning for a 10 am DEP press event. Gee whiz, I thought, given Camden’s housing problems, that sounds helpful to the people who live in the Nation’s poorest and most devastated city. 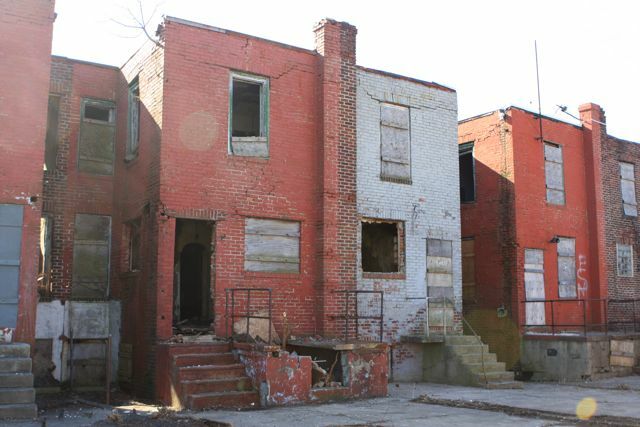 Fires in abandoned buildings are a real threat to the poor left behind in the decaying urban core. You see, according to Chris Hedges, whose book “Days of Destruction, Days of Revolt” which I am reading right now, Camden is a “sacrifice zone” of “invisible people” in serious trouble (more on Hedges and all that jive later, I gotta get going down to Camden now for the DEP event). 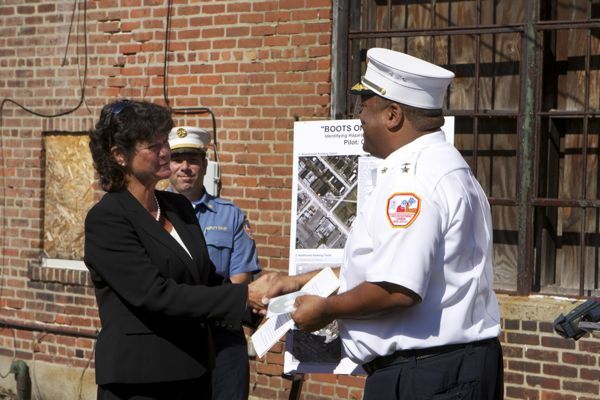 “Boots on the Ground” that locates and identifies hazardous materials in abandoned urban buildings to help protect firefighters and other responders in the event of fire or emergency situation. The effort was launched as a result of a series of fires in abandoned buildings in Camden last year. We’ll report back later today upon return from the DEP press conference. Fulper Farm, West Amwell, NJ. 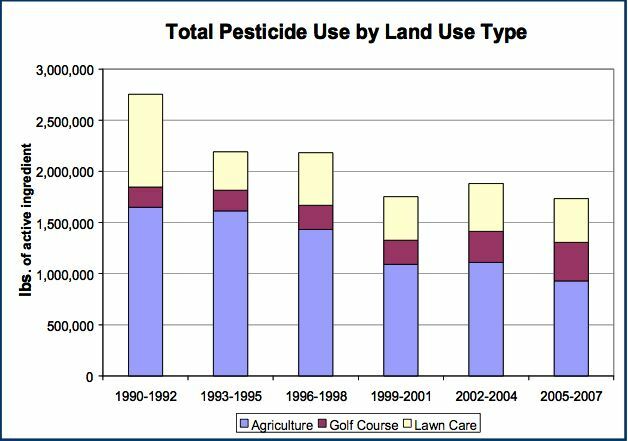 Farms are major sources of surface and groundwater pollution, particularly due to fertilizer contamination of groundwater with nitrate. Drinking water wells near farms should be tested for nitrates, which can be deadly to infants (blue baby syndrome). The Fulper Farm is surrounded by "No Trespassing" signs - ironic, because odors and polluted runoff from that farm trespass on private and public property. But this is not your Ben & Jerry’s or Stonyfields operation. 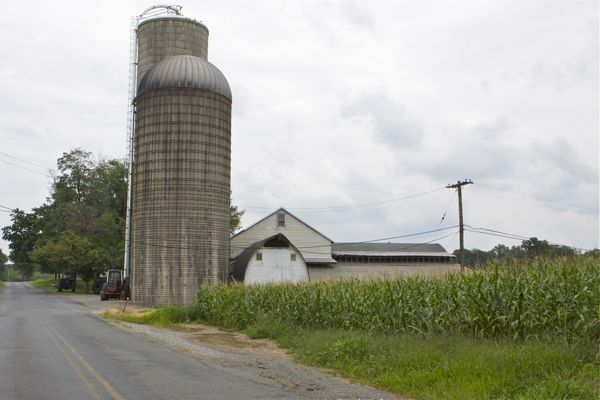 Having attended Cornell myself (and married a Cornell Ag School grad), I’m sure Fulper’s Cornell trained daughter realizes that any “Fulper brand” – and the ability to conduct farm tours and birthday parties – would not benefit from a reputation for applying vile smelling industrial sludge on their farm that destroys the quality of life of their neighbors. That Johanna plant has had notorious odor problems that have caused hundreds of complaints by neighbors. Those Johanna Flemington plant odor problems are now literally spreading to West Amwell. For 17 years, I have lived in West Amwell, about a half mile as the crow flies from the Fulper Farm. I live even closer to fields that Fulper applies the Johanna sludge on. Over those 17 years, with one exception (a case where Fulper’s spray operation was discharging liquid manure to a local Category One stream tributary), I have stayed out of local affairs. [Note: oops, I foot this one: Get the Cows Out of the Stream). I reluctantly have bitten my tongue over Fulper’s Johanna sludge odors, which seem to have gotten far worse over the last 3 years or so. 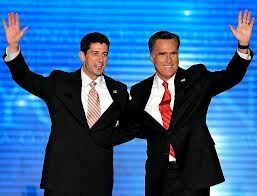 But this week, the stench was just too much to stomach – literally a stench so vile it can make one puke. And it lingers for days. Well, my patience is exhausted – the problem is getting much worse, not better. Johanna is not responsive, and DEP is not doing their job either. Fulper’s excuses are all exhausted, so he must permanently cease applying Johanna sludge. I stopped by the Township’s Office to complain on Friday. I then went to Fulper’s Farm to talk with Mr. Fulper – he was in the field working and unable to talk. But I ran into him Friday night at the Hunterdon County 4H Fair and we spoke at length. Let’s just say that, although Fulper acknowledge the odor problems, he denied having any adverse water quality impact on the C1 stream that runs behind his farm, instead he bragged about his Nutrient Management Plan. 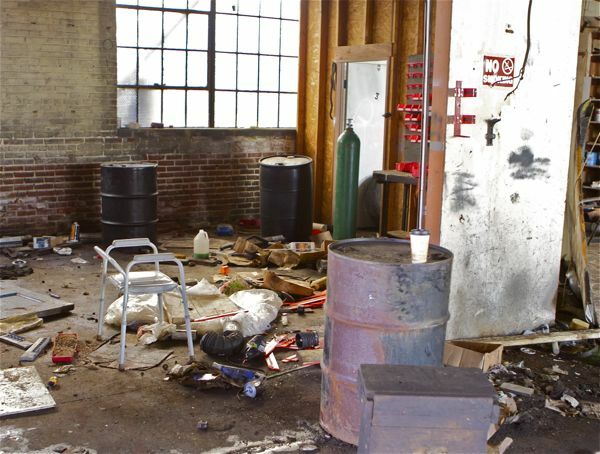 And he did not offer to address the odor and quality of life/nuisance problems that he admitting creating. His wife tried to shut me down, and kids were deployed to remind me that dogs were not allowed in the animal area where we were speaking, so I needed to leave (I was at the 4H Fair with my leashed dog). Fulper was arrogant and unapologetic. He basically said that I needed to just suffer for 3-4 days a couple of times a year. So, Game on Mr. Fulper ! Joanne Speranza, 98 Rocktown-Lamb. Road, read a letter (copy attached) into the record concerning the continuing problem of the extremely noxious and vile odors arising from the delivery and/or distribution of food by-products provided by Johanna Farms to the Fulper farms for use as crop fertilizer. Also outlined were her efforts and contemplated next steps if the situation is not remediated. A brief exchange then took place between Ms. Speranza and RobFulper over problems experienced with the former’s pool since Memorial Day. Rob Fulper came forward in response and noted that the family has been working with Johanna Foods on this by-product for quite a few years. He relayed that the biggest disadvantage of this product is the odor, a fact that has never been denied, but he has made efforts to mitigate the problem as well as to avoid weekend and holiday spreading. However, sometimes the odor comes back, especially if it rains. Mr. Fulper explained that what is spread is a by-product of food/juice processing which has been aerobically digested and turned into sludge in the lagoon. The sludge, which unfortunately has a negative connation, is made up of bacteria that have died; then separated off; squeezed; and, delivered to his farm. The remaining liquid in the lagoon is piped to the Raritan Water Authority and is crystal clear. Johanna has done this part of the operation very well but has struggled with the sludge side, especially if the bugs in the lagoon get upset and the product isn’t properly digested. Mr. Fulper acknowledged that they have had an issue with where the product is kept on their site and also if it sits too long in extremely hot weather it goes anaerobic, which results in an odor problem. Due to the terrible heat, they have stopped spreading for now. Mr. Fulper noted that with all the talk about renewable energy, recycling, etc., this food by-product is one of the best things that they have done for their soils and the crops show it. The product is a soil amendment/organic fertilizer; is organic matter; has some phosphorus; and, nitrogen. It replaces the necessity of buying synthetic fertilizers, which contain heavy metals. This product is controlled by DEP and undergoes rigorous testing and sampling, which is why he believes it to be safe, and one that is the right thing to do for the soils, although the odor has been a big challenge. The latter is something that he is attempting to be most conscious of and is also something that Johanna Foods is very concerned about because they have an image to protect; do not want to be a bad neighbor; and, are therefore taking some major steps in their lagoon process in order to have a better product. Mr.Fulper continued that there are lots of struggles and challenges encountered with keeping a farm in New Jersey but this product is a good thing—a fertilizer product that’s recycled; saves fertilizer cost; is available locally from the plant; is the greatest thing to put on the soil; and, an important part of their operation. He would like to try to keep working with the product; wants to be considerate of the neighbors; doesn’t want to have to come here; and, appreciates it when people call him directly as he is willing to work with them. As for the pool thing mentioned earlier, Mr. Fulper admitted that he doesn’t know enough about it although he finds it really hard to believe. If it were surface water running off from the fields, this would definitely be a problem but air borne is highly unlikely. An extended exchange between members of the committee and Mr. Fulper ensued over items such as the amount spread, the nutrient management plan, the method of application, the composition of the product and how it is spread, the issue of smell, when/how it is stored and past practices that did not work well. Other items mentioned were that Johanna is reportedly in the process of major change or re-construction as efforts to work within the confines of their existing system are not solving the problem. Mr. Fulper also relayed that if the product is not distributed as fertilizer, it goes to an incinerator and burned which, in his opinion, is a waste. In addition, the Dept of Ag encourages the use of such products as they can be good for the farmer. The product is safe; it’s a food by-product; bio-degradable detergents are used when the machines are cleaned; and, everything is monitored as DEP takes frequent samples of both the liquid and the cake. It’s a very controlled product, otherwise he wouldn’t be interested in using it. Attorney Faherty was requested to speak to the issue; relayed that this situation has directly affected him for many years; expressed a bit of disappointment with Johanna as his letters in 2008/09 requesting information never received a response or even a phone call acknowledging receipt of same; and, queried how the purported quality of life issue raised is balanced against the right to farm and a taxpayer’s right to live. Ms. Speranza added that she has always commended Mr. Fulper on his farming ability/greenness; proceeded to present a copy of the permit with detailed application parameters; and, noted that while the product is giving something back to the earth, which is want DEP wants, they also publish an odor fact sheet that explains what is and is not acceptable. The latter shows that DEP is aware that some of these things can cause lack of quality of life and was put in place by the air pollution control act whereby complaints can be filed with them and ultimately sent to the Board of Health. She continued that the quality of life is definitely affected throughout the area; that while she understands that the product is good for the earth, she is not willing to sacrifice her quality of life for it; that during the summer months her backyard is her oasis; that this enjoyment is not limited to special events; it was not like this when she purchased her home several years ago; and, the odor is not a healthy one. She also questioned why it has taken until now for Mr. Fulper to become more involved in trying to rectify a problem that has brought people to their breaking point. That Johanna has been working on the problem and thought it was under control was re-iterated by Mr. Fulper and noted that the microbiology issue is complicated. He believes that taking more moisture out of the cake would help but doesn’t know whether this would be feasible given the energy balancing act. Although this is a challenge, it is not his business in that Johanna Foods holds the permit and he works with them. His interaction with DEP is limited as is his interaction with the management of the Johanna facility. He knows what he has to do; where the product needs to go; and, that it needs to be spread quickly but weather impacts and dictates farming operations. Mr. Molnar expressed appreciation to Ms. Speranza and Mr. Fulper for their attendance and information and hopes that there will be some word from Johanna Farms on the issue.